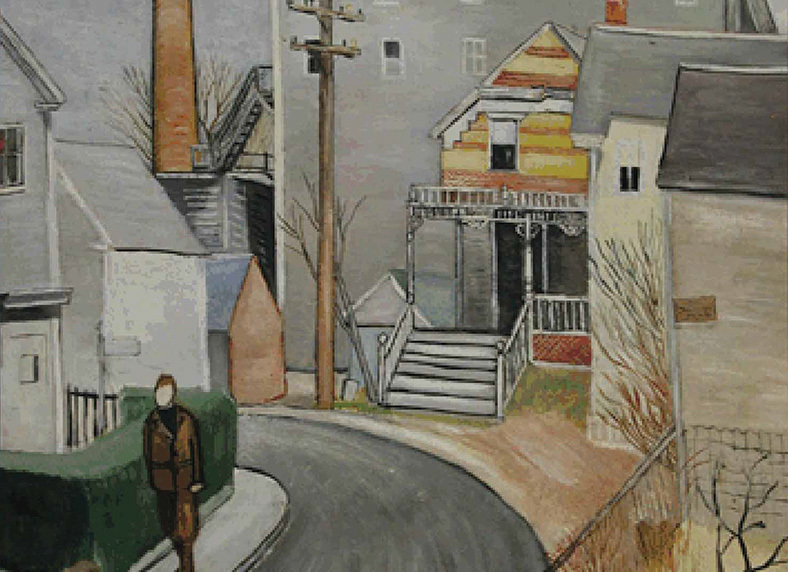 Detail from Tom Hackett Walking Along Commercial Street Past the Delight, Delight, Delight House, undated, oil on board by American artist Mary Hackett (1906–1989). Visit the Provincetown History Preservation Project site to see the full painting. The Delight House (mentioned in McCarthy’s story) was in front of the Atlantic Coast Fisheries Cold Storage Plant in Provincetown. 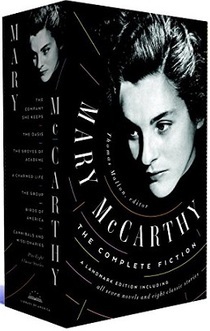 Describing a group of strangers who unexpectedly bond “together, in amity,” on the bus to Provincetown, “The Company Is Not Responsible” was never included by McCarthy in one of her books but has now been restored to print, along with several other uncollected stories, in the just-published Library of America edition of Mary McCarthy’s complete fiction. There was a girl named Margie, a girl named Ann, a honeymoon couple, a man named George, the girl called Blondie, and me; a middle-aged woman, a drunken sailor, four Harvard boys, a machinist’s mate (first class), the driver—called Mac, though that was not his name—and several supernumerary passengers, among them noticeably a soldier with a pipe. . . . If you don't see the full selection below, click here (PDF) or click here (Google Docs) to read it—free!